The 1940 Federal Election was held on March 26th, 1940. Note : William Wilfred Derpak in the Vancouver East riding was marked as a candidate for the New Democracy party despite records that he ran for the New Democratic Party. Clarence E. Culbert in the Parry Sound riding was marked as a candidate for the New Democracy party despite records that he ran for the New Democratic Party. Note : The party was formed in 1935 as the Western Social Credit League. Recorded as Social Credit inside and outside Quebec at federal elections. The Quebec wing then split from the federal party later in 1963 as the Ralliement des créditistes, or Social Credit Rally. In October 1967, the Ralliement des créditistes changed its name to Ralliement créditiste and in 1971 rejoined the Social Credit Party of Canada with Réal Caouette elected national leader. Note : The titles “Conservative” and “Liberal-Conservative” were sometimes interchanged between 1867 and 1942. Often simply referred to as Conservative or Tory. 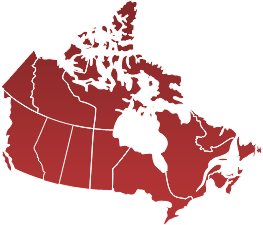 The Liberal-Conservative Party was the formal name of the Conservative Party of Canada until 1873, and again from 1922 to 1938, although some Conservative candidates continued to run under the label as late as the 1911 election and others ran as simple Conservatives prior to 1873. In many of Canada's early elections, there were both "Liberal-Conservative" and "Conservative" candidates; however, these were simply different labels used by candidates of the same party. Both were part of Sir John A. Macdonald's government and official Conservative and Liberal-Conservative candidates would not, generally, run against each other. It was also common for a candidate to run on one label in one election and the other in a subsequent elections. Party label changes to "Progressive Conservative Party" in December 1942. The merger of the Progressive Conservative Party and the Canadian Alliance in 2003 results in a new Conservative Party of Canada. Citation : Used for candidates who are neither independents nor known to be affiliated with any party.